Tri-State Logistics Moving & Delivery is a local and long distance full-service professional household goods and commercial business moves. Tri-State Logistics Moving & Delivery / Buck's Moving and delivery has been in business since September of 1998. This business currently has an A+ rating with the Better Business Bureau which we pride ourselves of maintaining. We are professional, honest, dependable, courteous movers that strive for customer satisfaction. Our motto is "We Love Our Job!!" We are capable of one item to a full load. Our main business attribute is our prices. Why pay $500 to $700 for a move when you can get the same or better service for $200 to $300? This is why we are in high demand. 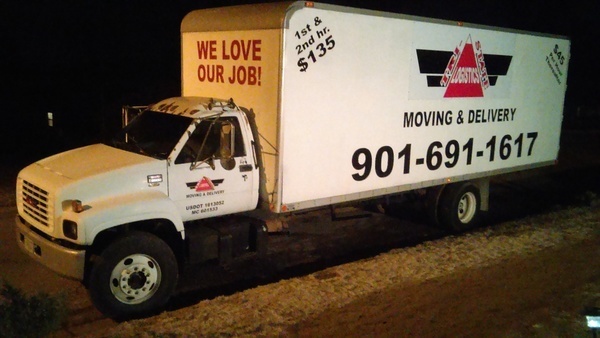 If you don't think that you can afford a move, call us when in doubt. This business has a major repeat and referral customer base. Most likely, if and or when you utilize this business, you will most likely use us again and or tell someone about us.